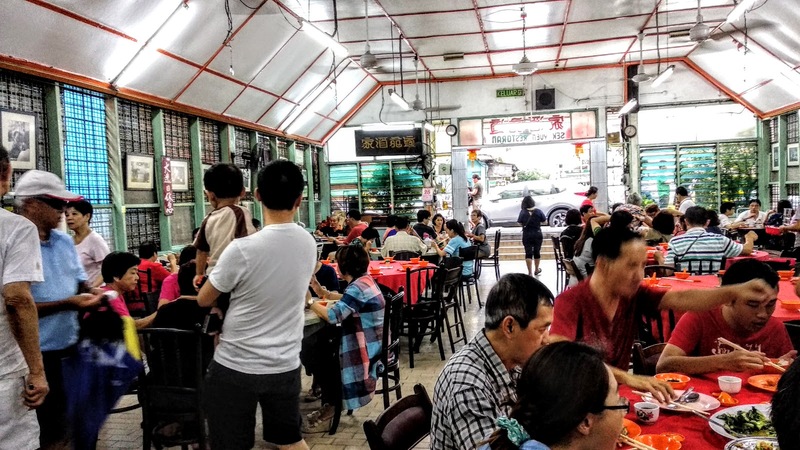 Sek Yuen Restaurant Pudu – EATLAH.COM: "Where & what you #EATLAH…?" 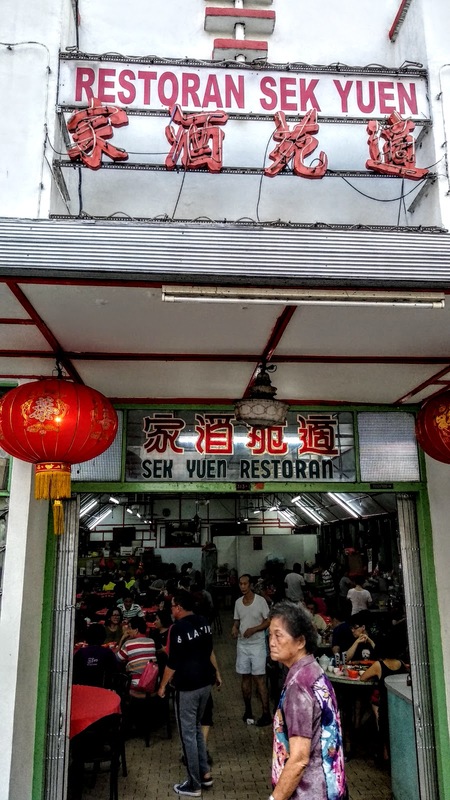 Mention Sek Yuen and it will make many recall fondly about wedding banquets held in the past since our parents’ generation. 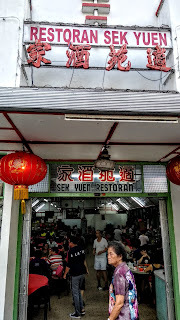 It’s that old schooled Chinese restaurant that never went out of style. Having 2 air conditioned shoplot and one original shoplot with fan only, it’s already full by 6pm! A rare scene for KL. Let’s see how good the dishes are. Nothing fancy but solid good roast duck. 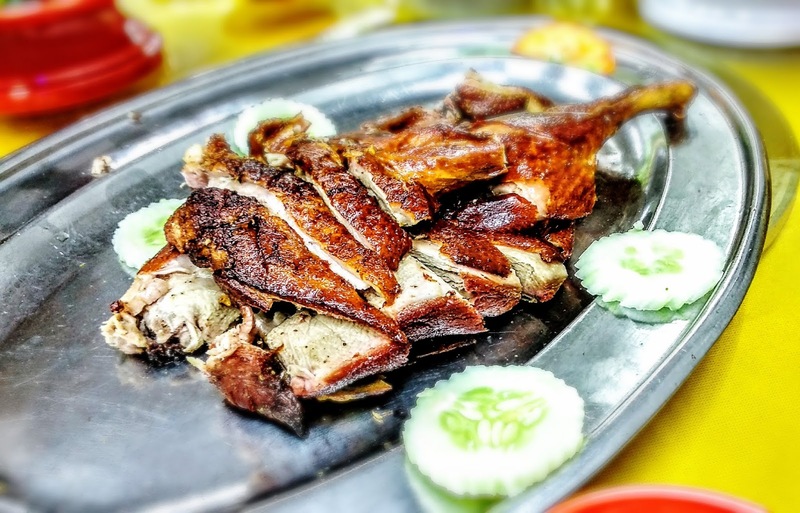 Cripsy skin, can’t taste any fat underneath yet juicy and tender duck meat that easily came off the bone. All speaking of roasting a fresh duck under low heat for a long time. I love how I can eat crab without having to crack the shells open. 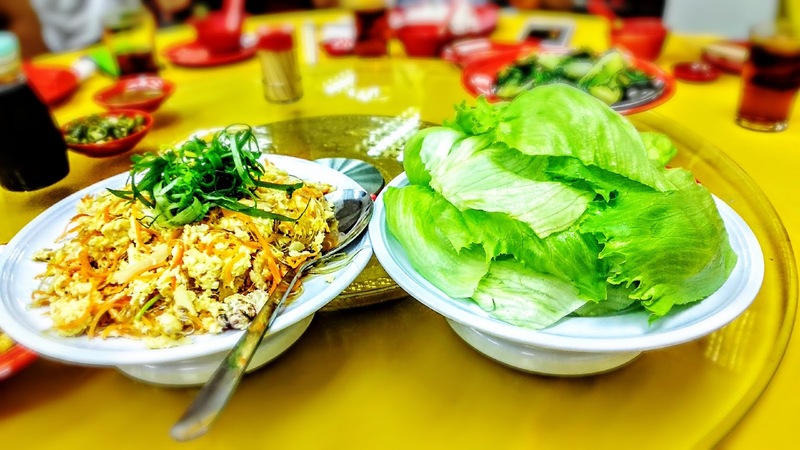 Stir fry with scrambled egg, julienned carrot, shitake mushrooms, glass noodles, this yummy combination is then wrapped in iceberg lettuce for an extra crunch. Adding a few drops of black vinegar improves the flavors. What a comfort food. 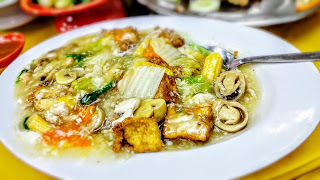 A standard combination of fried tofu stir fried with a combination of vegetables (carrot, baby corn, Chinese cabbage, spring onions and ) and chicken slices, as well as shrimps. 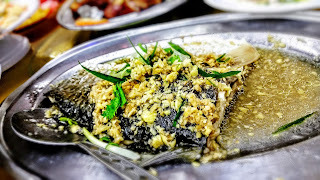 It’s an art to know how steam fish until it’s just cooked and still soft and juicy. This is a great example. The only thing we didn’t like is the amount of fish bones there. Ha. And if only the minced ginger has a bit more punch. A great concoction of prawn, vegetables made into paste and deep fried into this golden balls of delight. 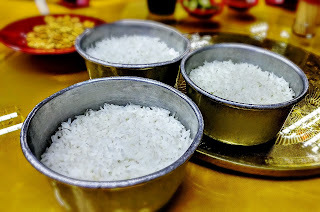 The other thing worth mentioning is that their steamed rice (nasi kukus) is so much more flavoursome and soft comparing with conventional rice cooker ones. There you go, our simple dinner at Sek Yuen. 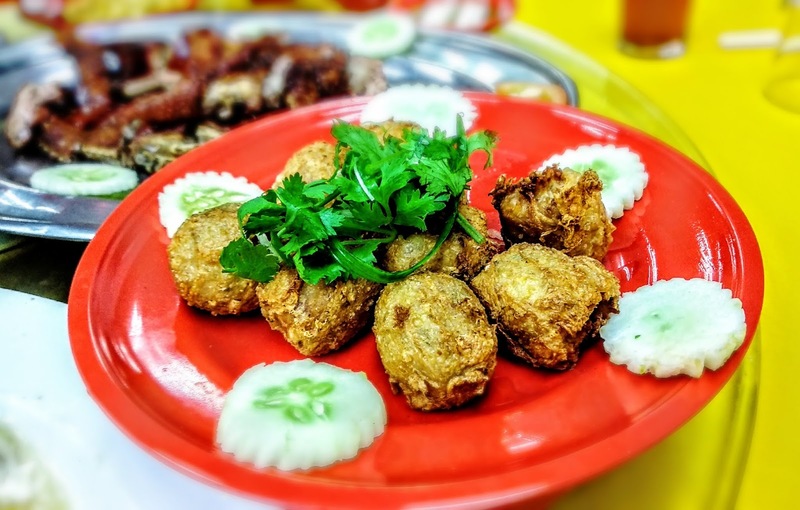 Yummy and cheap, simple yet elegant. Our verdict is 8/10!